We take the sacks the apples have been collected and stored in and open them on the sorting table. The table was made by a friend and simply consists of some horizontal wooden slats that are wide enough for debris, like leaves, to fall through. I’ve attached a sack underneath to collect all the bits and any rotten apples. 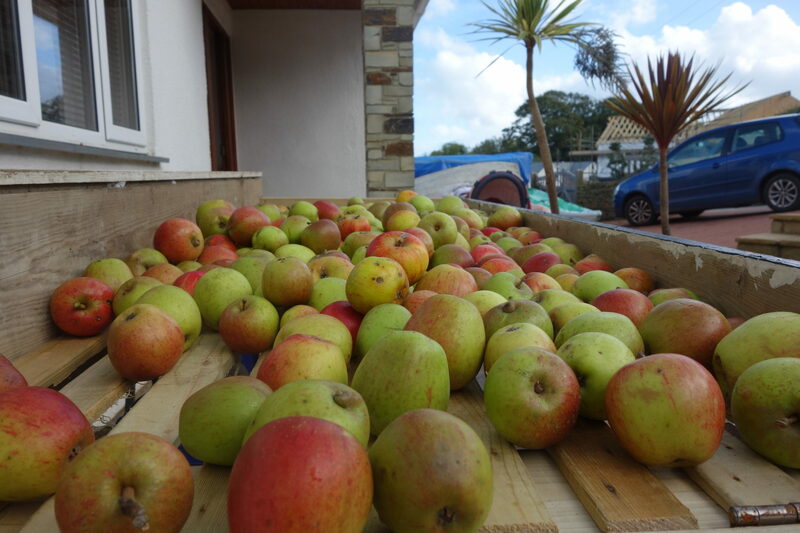 Once any apples that are badly bruised or mouldy are removed they are released into the washing bath. The washing bath contains clean water where the apples are swirled and stirred to remove any further dirt or grime. The washed apples then get milled and pressed. In 2014 we purchased a new mill capable of milling 1000 Kg of apples and hour. The milled apple pulp then gets placed into the hydo press. In 2014 we also purchased the press which is very effective. 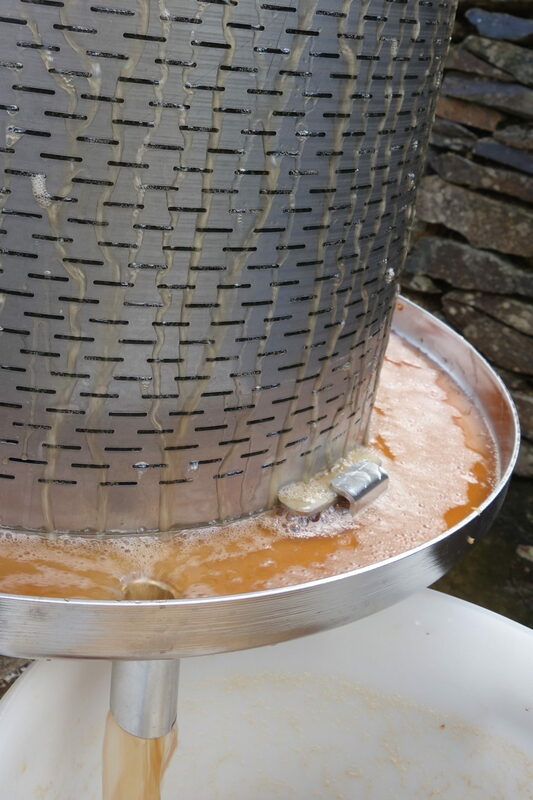 A pressing of 120 litres of pulp usually produces about 60 litres of apple juice. The juice is then pumped directly to the fermentation tanks where the juice is measured for SG (Specific Gravity), PH and the level of Malic Acid. 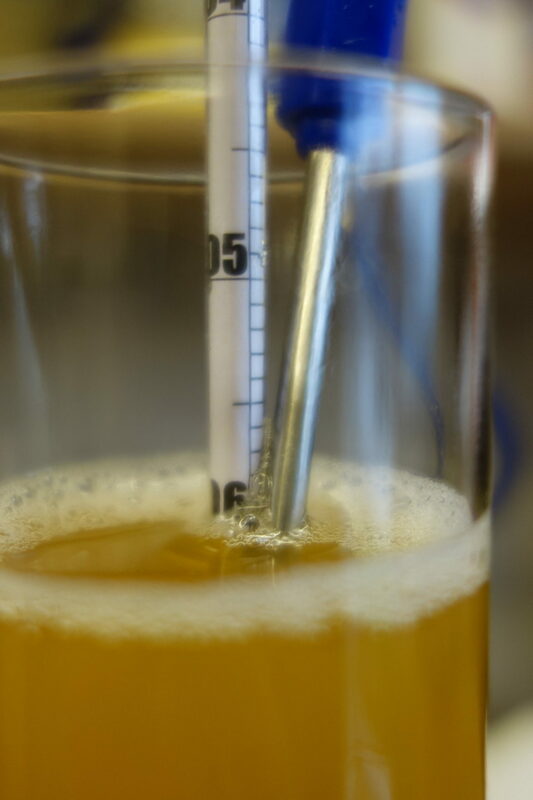 Over the next 6-8 months the cider is tested regularly to see how it is developing. The fermentation slows right down over the Winter and then sometime restarts just as the Spring comes and the temperature rises. Once the cider has settled, we bottle adding a very small amount of sugar so that it ferments further in the bottle and produces a slight ‘petillant’ sparkle.